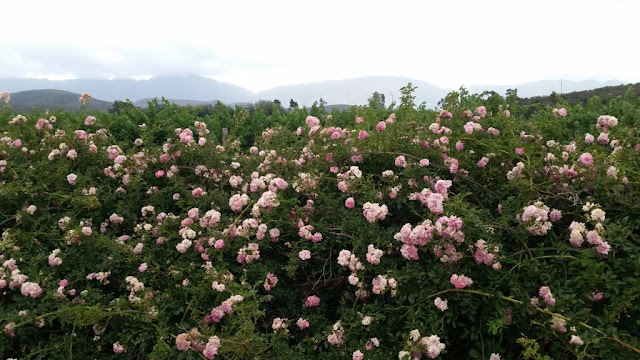 A rose hedge grows alongside the railway line near the now demolished Bonnievale station. From time to time, when either walking or driving through the vineyards, one cannot miss the hedge’s profusion of pink. As the vineyards obscure the railway line, it seems from certain angles, that the hedge is growing in the middle of nowhere. Curiosity compelled me to investigate the display close-up. 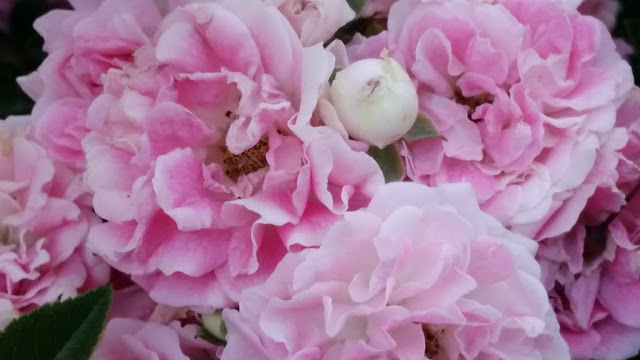 I needed to discover the story of this nowhere rose. 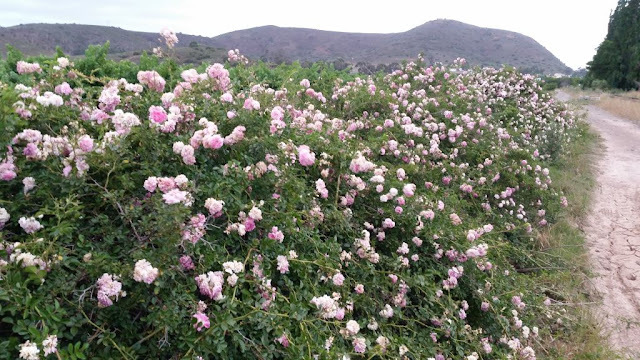 The rose has over many years, grown into an informal hedge. Over a long time and left undisturbed, it has rambled onto itself. From close-up it was even more spectacular. 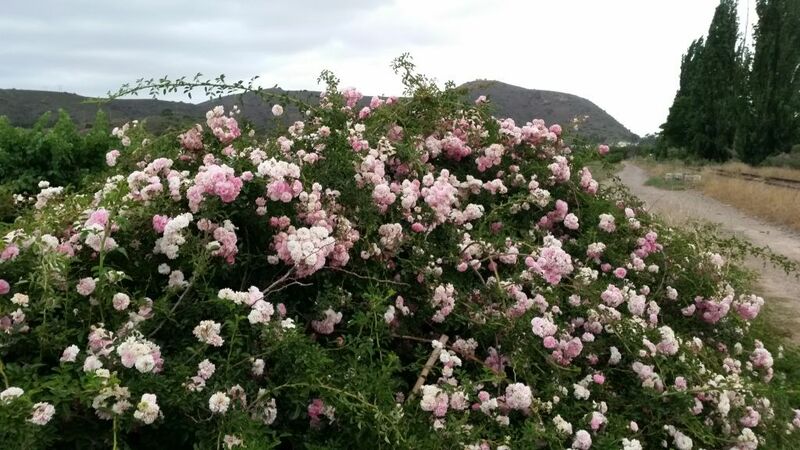 Big clusters of small pink roses covered the hedge of thorny branches. How long it has been there no one will know. I doubt whether anyone even cares. 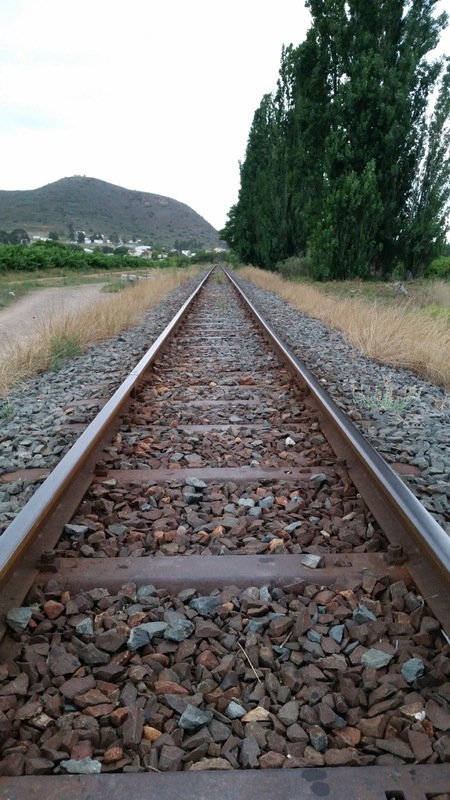 But, there it grows between the railway line and the vineyard. There appears no reason for it to be there, in that specific location. 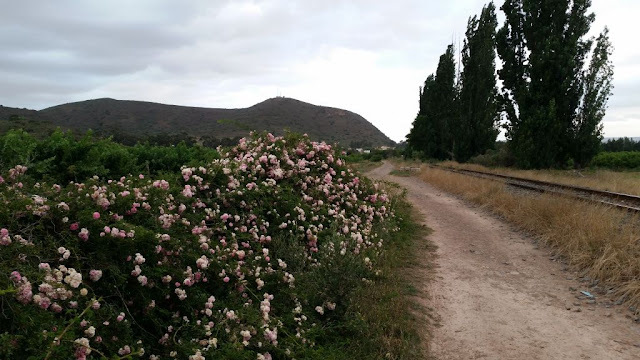 Over the years, a dirt road has forked around it into a track between the rose hedge and the railway line and the hedge and the vineyard. There it grows like a big traffic island of beauty. How she got there I will probably never know. Who she is, was another matter. One, which I might trace with a little effort I thought, as I picked a sprig of roses and headed home. 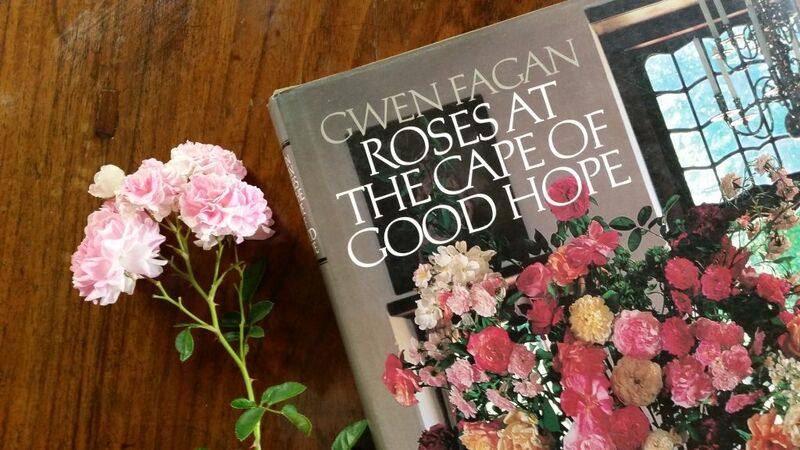 On arrival, I decided to consult Roses at the Cape of Good Hope by Gwen Fagan, published in 1995. 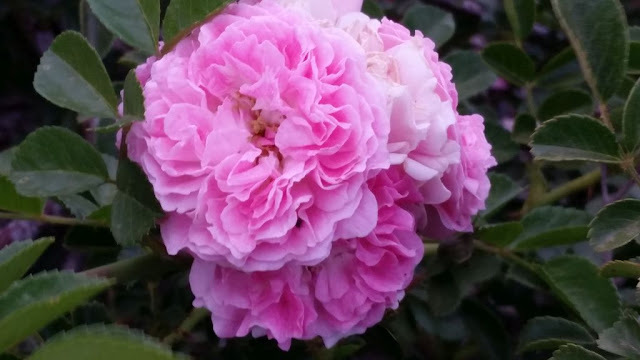 I searched the images for a rose that looked anything like those I had picked. 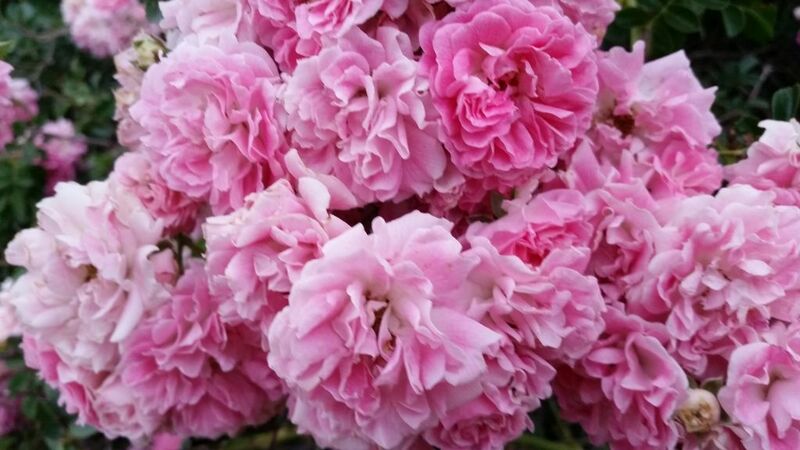 It was between a Centifolia rose, ‘Pompon de Bourgogne’, and a Species rose, ‘Dorothy Perkins’. After investigating the leaves, the thorns and the growth pattern of the specimen I had brought home very closely, Keith confirmed that it was ‘Dorothy Perkins’. Gwen also mentions that they were popular plants for railway reserves. 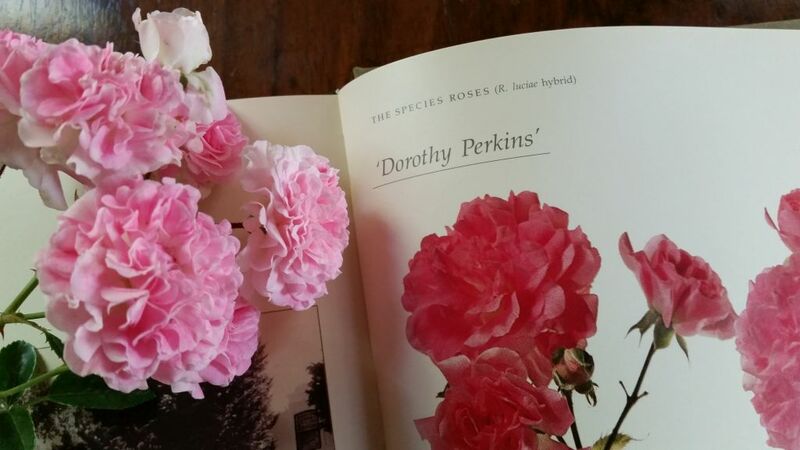 That might explain how ‘Dorothy Perkins’ came to grow alongside the railway line in Bonnievale. A remnant of a time when train travel was popular and the station a hive of activity. ‘Dorothy Perkins’ was named after the granddaughter of the rose grower, Charles H. Perkins. He introduced the rose to the market in 1901 and in 1908 it won top honours at the Royal National Rose Society. Who knows how she got to adorn the Bonnievale railway line. Now, ‘Dorothy Perkins’ graces a dirt track next to a seldom used line. Like a forgotten beauty who has risen above her surroundings. There she is year after year, just being beautiful for beauty’s sake as intended by Charles Perkins in 1901. A very interesting story, thanks. 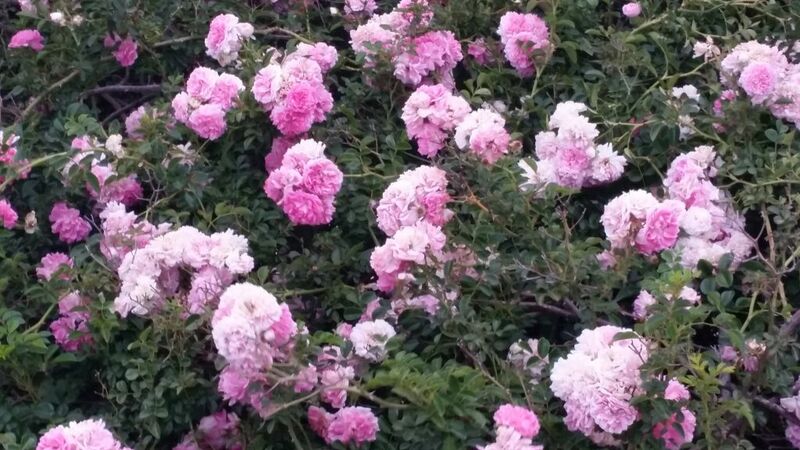 I love seemingly random acts of beauty.